Just days after the Republican National Committee (RNC) rejected most proposed rules changes that would undo the power grab from last year’s convention, a number of grassroots activists stopped by to express their disappointment with party leaders and let them know that they would not give up the fight. 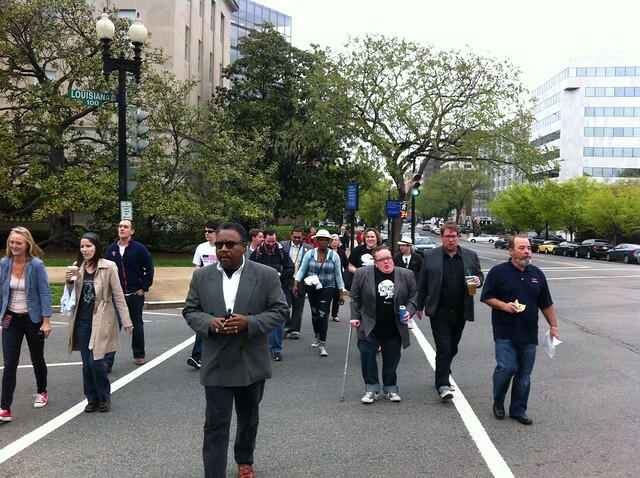 Shortly after 10am, around 50 activists (pictured above) showed up at RNC headquarters in Washington, DC to present a representative from the party with a open letter to Chairman Reince Priebus that hit at the heart of grassroots’ frustration with the party. At issue are two specific rules — Rule 16 (A) (1) and Rule 16 (A) (2) — which grassroots activists consider unfair. The letter also brought up the way the rules were adopted at the convention, which only highlights the distrust the grassroots has towards establishment. Activists who signed the letter made a clear statement that expect inclusion, not to be shut out of the process through a power grab. The activists who made the trek from the Hyatt Regency in the Capitol Hill neighborhood of Washington, DC expected to be heard by someone from the RNC. However, they found out when they arrived that the party that they work so hard for every election year wasn’t willing to listen to their grievances. As you can see in the videos below, Jackie Bodnar, Communications Director of FreedomWorks, was told by security guards that her and the two activists — Drew Martin and Corie Whalen — presenting the letter to Priebus and some 12,000 petitions signatures against the RNC rules would not be allowed in the building. An older gentleman from Indianapolis, whose name isn’t clear on the video, called the RNC to ask why they were being locked out. “Hello? Hung up on me,” he said into the camera as he closed his phone in frustration. 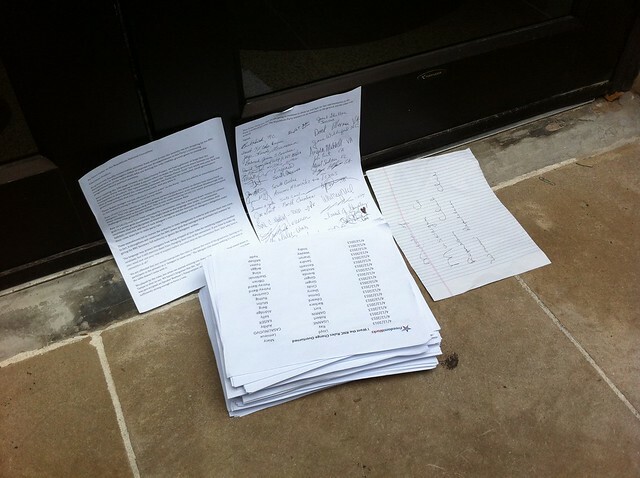 After an nearly a half-hour of standing outside the RNC, Bodnar laid the letter and the petitions at the door. There was eventually some indication that the RNC would send someone down, but they were taking their time in getting to the people who work the ground every election year. As they waited, more and more activists signed the open letter to Priebus. After a few more minutes, she was eventually allowed to meet with a representative from the RNC who told her that they would be willing to meet if she made an appointment. Interestingly, a woman approached the group of activists on the street while all of this was happening. She wanted to know what we were doing. After the situation was explained, she identified herself as the spouse of a Republican Congressman who wouldn’t have been elected without grassroots support. A similar story would not doubt told time and time again by Republicans in Congress. Nevertheless, the experience at the RNC was frustrating for these activists. They’ve already been shut out at the convention through the rules process, and now they’ve found themselves shut out at the RNC headquarters and ignored by tone deaf party.